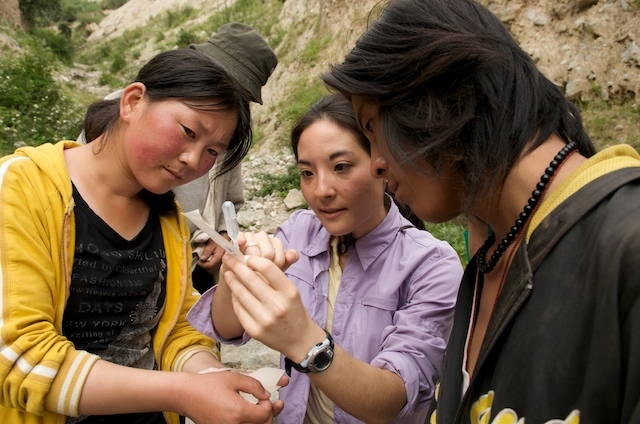 In 2007, while studying chemistry at Wellesley College, I traveled to the Himalayan Plateau to study climate change. As usual, however, I decided to add my own little science experiment into the mix. I took air quality monitors with me and literally wore them on my body as I traveled across China. I thought that the air pollution levels I measured in Beijing and other large cities were already very high. Then, I arrived in the Himalayas and had an experience that shook the foundations of my assumptions about air pollution and health. “A good question”, I thought, so I pulled out my air quality monitors and we measured the air together. To my surprise, we found that the air this family was breathing inside their home was 10 times more polluted than what I had measured in Beijing just a few weeks prior. People were routinely exposed to carbon monoxide levels that would require hospitalization in the United States. Researching into this issue, I learned that the World Health Organization attributes more than 4 million deaths each year to exposure to household stove smoke. That’s 7x more people than die from Malaria! I decided to take a break from school and apply my love for chemistry to solve this huge global health problem. I quickly realized that tackling household air pollution from stoves could not be done in isolation. It was linked with fuel, gender identities, and numerous aspects of religion and tradition. Energy poverty, in particular, was a major related challenge that people were facing. Deforestation was so extensive in this area of China, that the government had outlawed cutting wood for domestic fuel use. But, without access to affordable alternatives, women continued spending hours every day collecting wood from the forests. Other families used dung as their primary fuel source and girls often stayed home from school to spend hours collecting it. While working with local families to find a solution that worked within this complex setting, I met a student who told me about a visiting teacher who was going to his students’ villages and helping them work on engineering projects that the villagers’ cared about. “So many foreigners come to our land to give us things that they think we need. It is so rare to meet someone who helps us with the projects we know are important”, the student told me. That teacher was Scot Frank, my eventual business partner at One Earth Designs. 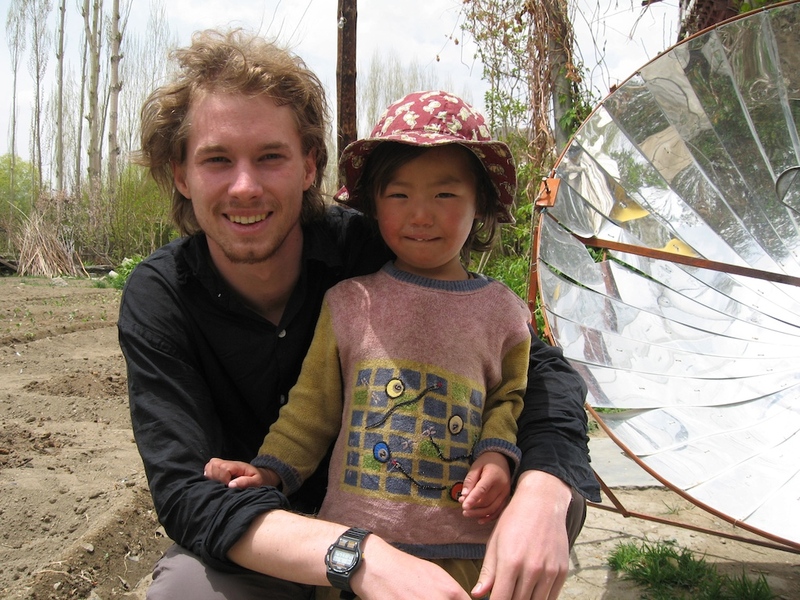 Scot had first come to China in the summer of 2005 while an undergraduate engineering major at MIT. He was slated to teach a course in Beijing, but when he arrived he found that the course had been cancelled. 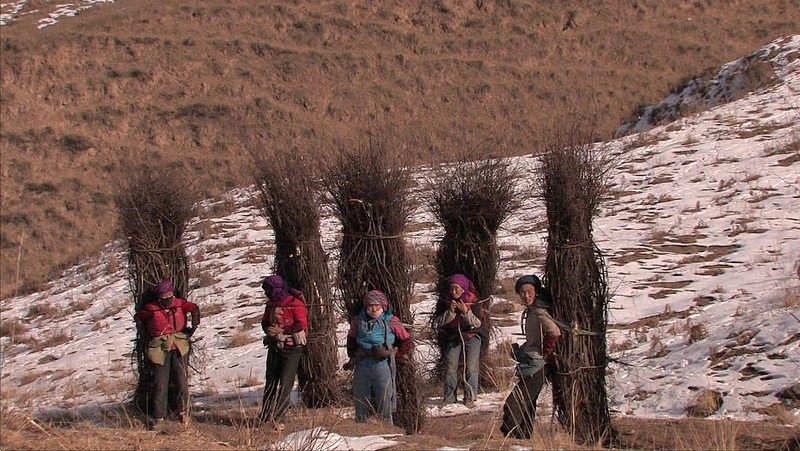 With his plans disrupted, Scot made his way to western China to learn about the Silk Road. There, he met a teacher from Qinghai who invited him to come teach a course at the provincial university, where students did not have access to science and engineering courses. Scot agreed and taught free design and engineering workshops to students interested in developing their skills. Over time, his students invited him into their homes – often many hours away—where Scot did his best to support development efforts in each community. After his experiences in China, Scot knew that he wouldn’t be happy with a life behind a computer. He wanted to contribute his energy and knowledge towards creating tangible solutions that brought joy and better living standards to the people around him. He spent every school break back in China sharing his knowledge with the students, and learning all he could from them as well. I loved science. Scot loved engineering, and we were both determined to use our skills to help build a better world alongside the many others who were working towards the same goals. It was a natural partnership. We began working together, others joined, and soon there were a number of us living and working in a tiny little apartment in Qinghai Province, China. We walked half a mile to the nearest showers. We ate the cheapest food we could find and we did our best to accomplish the tasks at hand. Soon, we began winning awards for our work. We started a non-profit organization and began applying for grants to further our R&D. This was an extremely powerful idea. In a single hour, enough sunlight reaches Earth to power all human activity for an entire year and most of it falls in the regions most in need of cleaner or more affordable energy. 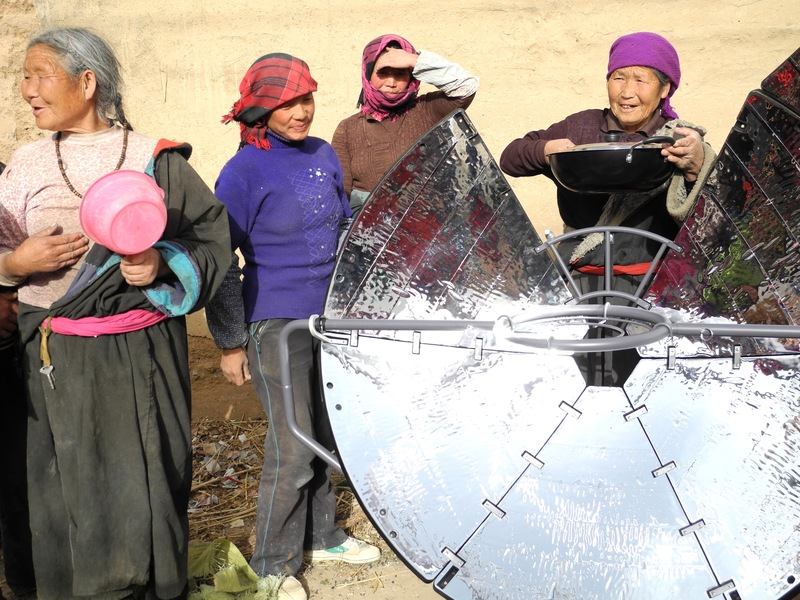 At first, we focused on making solar energy accessible for cooking to a handful of Himalayan villagers whose traditional fuels were running out, but we knew that this idea had the potential to meet the energy needs of billions of people around the world. 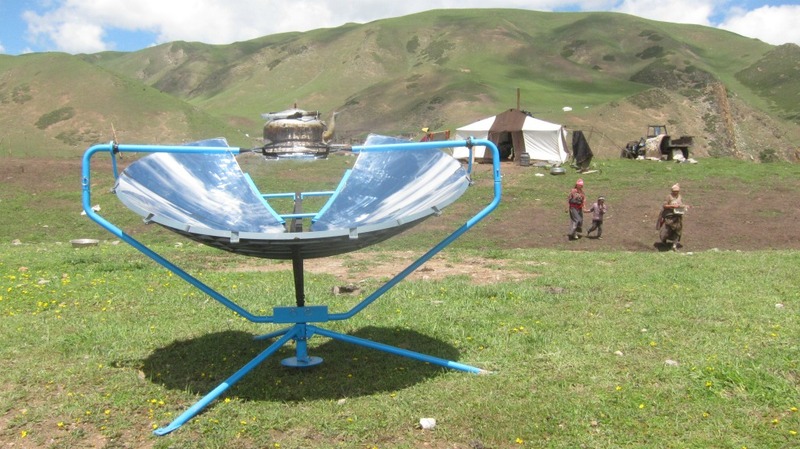 Over the course of six years, we built and tested dozens of prototypes of solar cookers working with hundreds of villages on design and testing. The solution had to meet a challenging list of requirements. It had to cook quickly. It had to be wind-sturdy while remaining portable enough to suit the nomadic lifestyle of many of the families we worked with. It had to be safe and ergonomic. It had to withstand sandstorms and extreme temperatures. It also had to be “Yak proof,” as Scot says. 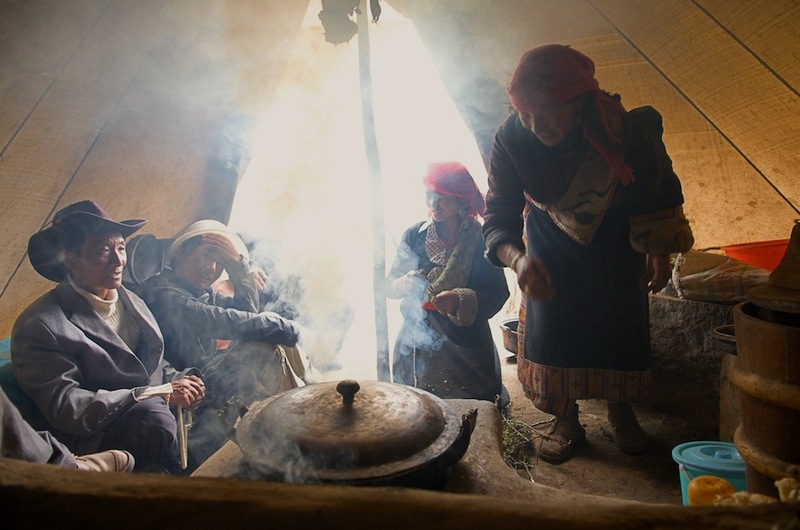 Most importantly, it had to cook food that tasted as good as or better than food cooked on traditional stoves. We knew that success was when people loved using the sun for cooking and were proud of owning a product that enabled that. It didn’t start out easy and it didn’t get any easier throughout the journey. But, with grit, persistence, good humor, and many design iterations, our team eventually achieved major breakthroughs in design and materials. We included a user interface that protects cooks’ eyes from UV radiation, designed a system robust against sandstorms yet easy to disassemble for transport, and developed a new material that harnesses solar energy with 5x higher efficiency than your average solar panel. We had finally developed our flagship product, SolSource Classic. When our field team went out to collect feedback, the testing families didn’t want to give it up. What’s more, the families living around them wanted one too. We had set out to create a cookstove that alleviated major issues – air pollution, energy poverty, women’s empowerment, and education. 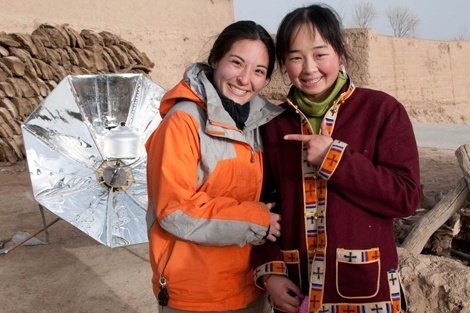 I knew we had succeeded in creating the impacts we were aiming for the day a local family told us that by using SolSource Classic, their family saved 200-400 RMB (32-64 USD) in monthly fuel costs, did not have to choose between affording food or heating the house, and now felt comfortable sending their daughters to school. Beyond that, the SolSource Classic had brand appeal in the community. Men rushed home to stand next to the SolSource Classic in order to show it to their friends returning from the fields or pastures. Women traded solar recipes while collecting water and were delighted that their husbands were finally taking an interest in cooking.